I have been fishing with my father since I was able to hold a rod, and it has always been the driving passion in my life. at the age of 10 I started “borrowing” my dad’s boat to go fishing. 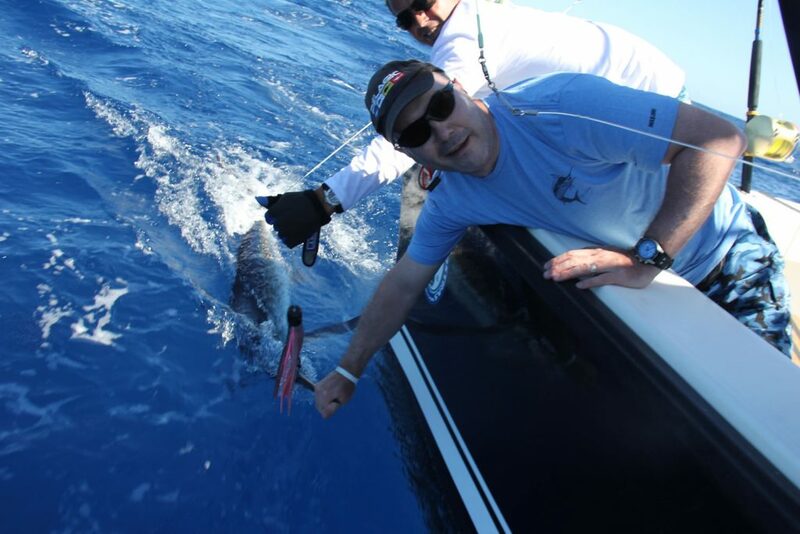 I got my first job as a first mate when I was 20, and that’s when i got involved in serious big game fishing. I started skippering at the age of 24, and began entering tournaments, ranking national champion twice in a row in 2007 and 2008, and taking bronze in the FIPS world chamionship in Xabia in 2009. Since then I have competed and ranked in many championships and skippered several boats in the Algarve, until i decided to buy my own boat and take it back home. I was tired of travelling 100 miles or more in a day when I could simply pull out of the harbor back home and be in the deep waters and with the biggest fish immediately. 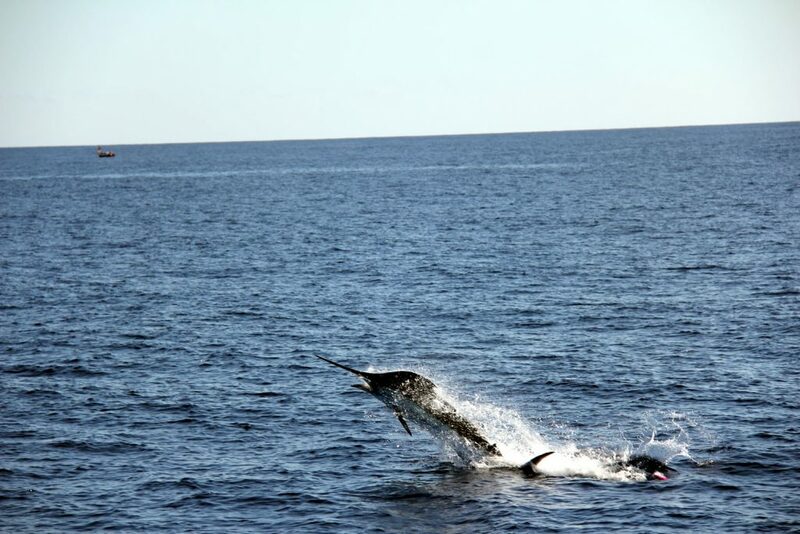 Captain To Neves and his first mate are both experienced fisherman with a wealth of local knowledge, and are tireless in their efforts to get everyone hooked onto the fight of their life in one of the best and most beautiful big game fishing spots in the world. The Dream Catcher is an American-built Rampage 31 – one of the toughest boats ever made. 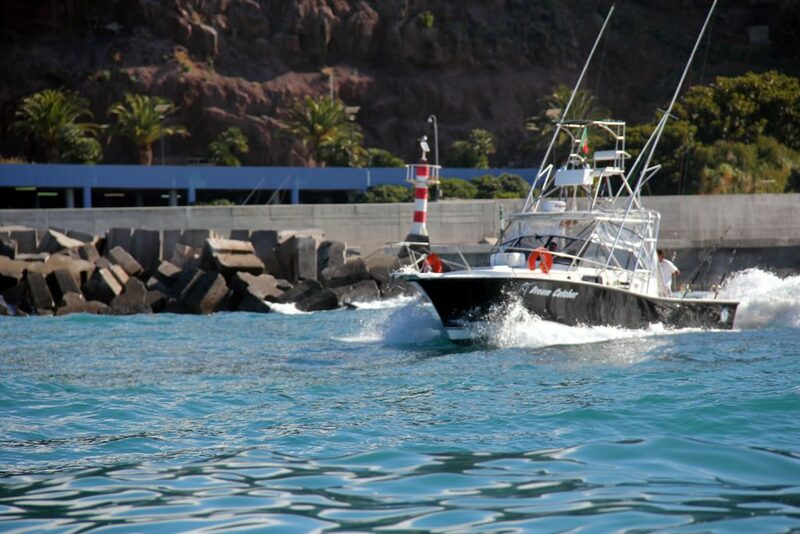 Powered by twin VolvoPenta KAMD 42s and with a top speed of 30 Knots, you will waste no time getting out to the deepest waters, especially seeing as they are right outside the harbour! The boat comes fully-rigged with the best fishing tackle and electronics around, including Raymarine GPS and fishfinder, and Shimano and Penn reels ranging from 30 to 130 lbs. She also boasts a fighting chair, head, livewell, outriggers, a spacious interior and flybridge where you can relax in between bites, and a small galley where the crew will prepare you lunch on full day trips. All trips come with fishing licences for all on board and free cleaning and filleting for anything you want to take away with you. Drinks and Snacks are inclouded in the prices. You are also more than welcome to bring your own snorkelling or scuba diving gear and go diving off the boat. 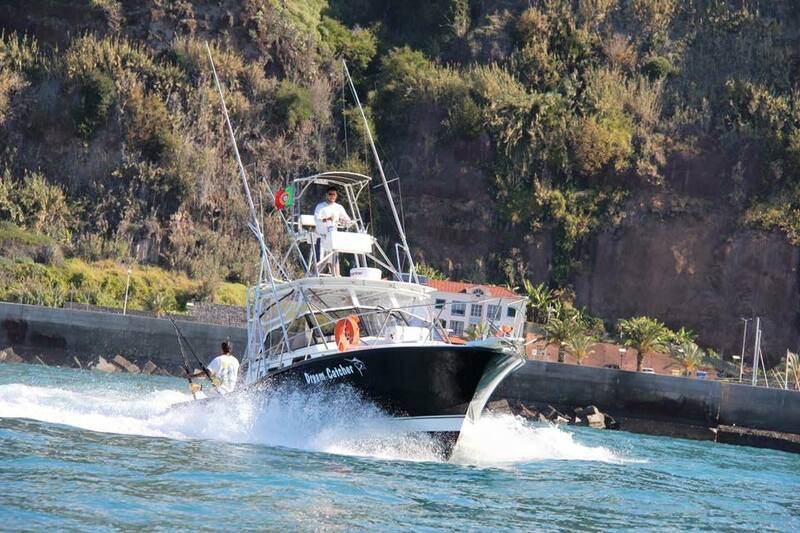 Dream Catcher Madeira offers amazing trips targeting big game pelagics such as Blue and White Marlin, Bluefin and Bigeye Tuna, Mako Sharks and Mahi Mahi, as well as many other great fish famous for their taste or tenacity such as Wahoo, Amberjack, Barracuda and Red Snapper.